Thank you for your interest in Ababa Bolt. We offer two convenient locations in San Diego area to serve our customers! 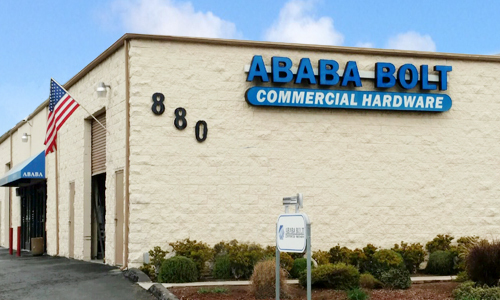 Stocking the largest inventory of commercial hardware San Diego has to offer, Ababa Bolt Commercial Hardware is available to you online, over the phone, or at our two convenient San Diego locations. At Ababa Bolt, we specialize in industrial hardware San Diego style, and are therefore committed to being the best in the industry at what we do. While San Diego may be the second largest city in the United States, Ababa Bolt is the largest provider of commercial hardware San Diego has ever seen and we are equally and ever vigilant when it comes to providing quality, convenient, commercial hardware. If you are looking for hard-to-find bolts, fasteners, or other industrial hardware, San Diego can be a big place to start searching. Ababa Bolt offers two central locations to help service our customers and to make shopping our extensive in-stock inventory both easy and convenient. 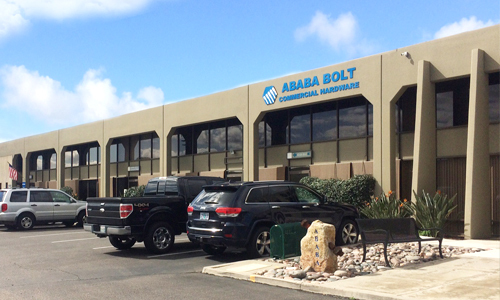 With one warehouse in El Cajon and another in San Marcos, Ababa Bolt Commercial Hardware San Diego is your prime location for finding effective solutions to hard-to-solve manufacturing, construction, marine or electronic problems. Our San Marcos warehouse is open Monday through Friday starting at 7 a.m. and just in case you miss us during the week, our El Cajon location is open at 7 a.m. on Saturdays as well. At Ababa Bolt Commercial Hardware, we are committed to superior customer service and a quality, in-stock product and we guarantee to do our part to help you complete your project in a professional and productive way, down to the very last bolt. At Ababa Bolt, we agree that San Diego is one of the finest cities in the world and our goal is to make our city proud by being the finest industrial hardware company in the country. Come visit one of our two convenient locations and discover what makes Ababa Bolt Commercial Hardware your San Diego hardware hotspot.